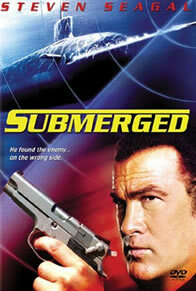 Steven Seagal, the free world’s most “independent” anti-terrorist agent, is going down under – not to foreign ports but submerged, under the sea, where waves of deceit are set to torpedo his command…permanently. Chris Cody (Seagal) is summoned from his military prison cell and promised a presidential pardon – with a hitch. An American Ambassador has been assassinated – by the U.S. Secret Service. Now the C.I.A. wants Cody to uncover and terminate this deadly operation, but they don’t tell him the truth. Cody ends up overpowered and trapped beneath the waves…but hardly out of his depth.